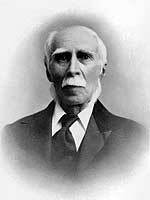 Born at Burnley, England on 21 February 1830, he emigrated to Canada in 1854 and settled at Lindsay, Ontario. He studied law there and at Port Hope then practiced law in Ontario until 1887 when he came to Manitoba and settled at Selkirk. He continued his practice there, eventually serving as solicitor for the Town of Selkirk and for several rural municipalities surrounding it. In 1864 he married Janet Colcleugh (?-1873). They had three sons: Maxwell Kirkpatrick Heap, Harry Colcleugh Heap, and Frederick Heap. He died at Selkirk on 18 February 1909.